Nestled amongst tropical palms on the golden shores of the warm Indian Ocean, the tranquil Salt Rock Hotel and beach resort is a mere half an hour’s drive north of Durban. 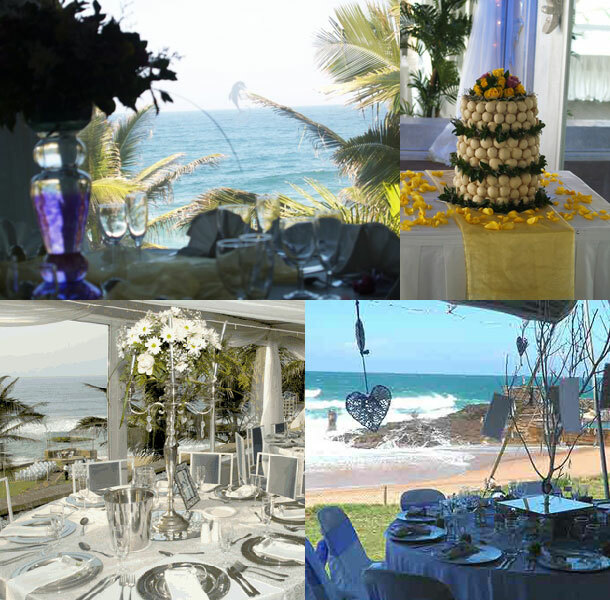 The quiet and relaxed “island style” resort of Salt Rock on the KwaZulu Natal coast is renowned for it’s year round sun-shine, secluded beaches and exciting nightlife in sidewalk cafe’s, restaurants and pubs … the best of both worlds! Over the years the Salt Rock Hotel has earned an excellent reputation for the lovely settings it has. There are various venues to choose from and each receives efficient and reliable service ensuring you value for money. 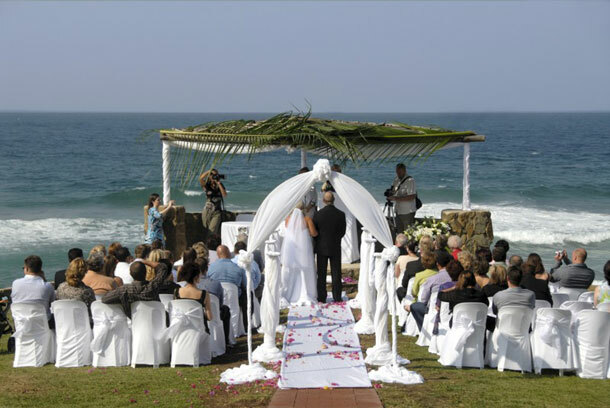 The cost of hosting a “beach wedding” on the lawn is negotiable. We are able to quote on a marquee function including all the extras. There are also fixed venues. If you’re looking for accommodation for your guests we have a number of options available to you.